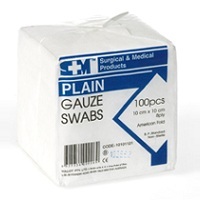 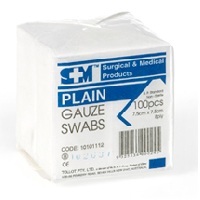 Non-sterile x-ray, plain gauze and low-lint swabs from S+M. 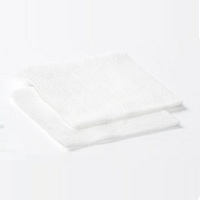 HealBand sterile gauze and Sage sterile plain, green, gauze or non-woven swabs and bob, asepticly wrapped. 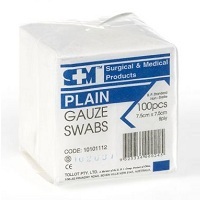 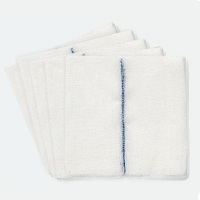 Non-woven swabs are more absorbent than woven swabs and are less likely to shed fibrous material into a wound.